The transformation of an existing garage into a painting studio with operable skylights and bifolding glass doors. Located in the Ukrainian Village neighborhood of Chicago. Design by ERA / Eric Rothfeder Architect. The owner of this townhouse asked for an art studio to paint and sculpt, as well as an enlarged outdoor space to accommodate social events. However, the property’s zoning constraints did not allow for an addition to the residence or for an expanded porch or roof terrace. An unusual solution was developed by overlapping these desired uses on the allowable footprint of the 20’x20’ detached garage. 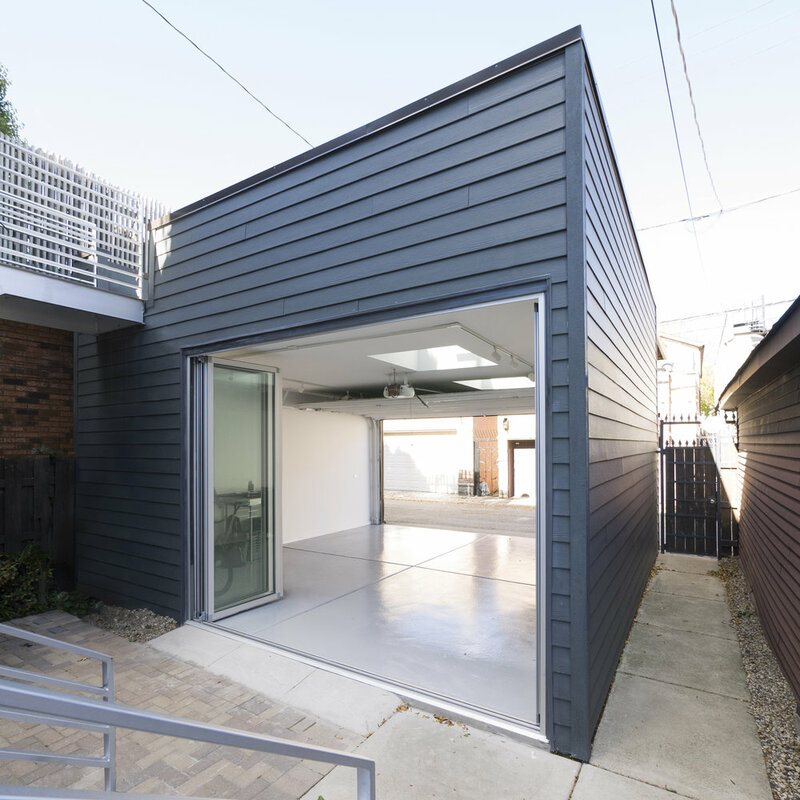 In contrast to a typical garage, which only opens towards the street, this structure was designed with apertures in each direction. Large operable skylights provided ample daylight and ventilation, and full height bi-folding glass doors opened towards the existing patio, more than doubling the size of the outdoor space. Depending on season and operation, the structure can be used as a garage, as an art studio or as an extension of the backyard.